Home Magazine Cover Story Distance Support Tech. For years, members of corporate IT teams have remotely accessed employees’ workstations to discover problems and unlock frozen computers. They could do so without leaving the IT department and without entering the workspace of the employee. Sometimes they did this from the same building and sometimes from across the country. For the employee, the process was often surreal, with their computer coming to life, looking like some invisible force had taken control. Remote support is not a new idea, but its application and acceptance have increased and improved over time. Today, support from a remote location is common and practical. Remote access to a medical device also provides the means for diagnostics, providing software updates, applying patches and doing repairs. It allows engineers to monitor the device and foresee maintenance issues or provide a troubleshooting heads-up. Monitoring equipment remotely often allows for the detection of minute changes that may go unnoticed otherwise. Environmental factors, undetected by those present, may be picked up on by the remote engineer and communicated to those providing patient care. “With the use of predictive algorithms, we are able to anticipate and tailor service actions in order to increase efficiency. Beyond maintaining equipment in the best condition of safety and availability, new technologies are also offering many possibilities for workflow and operations optimization,” Swinford says. The intention of the manufacturers, who have utilized this technology for a long time, is reflected in the experience of users. While some HTM professionals complain that remote service is an expensive addition to a service contract that doesn’t offer much return, others like what they see. 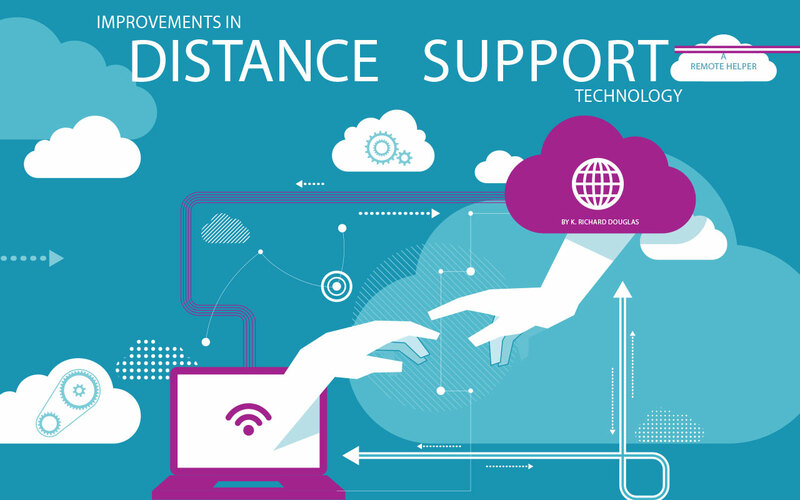 “As the service engineering workforce continues to age, and many knowledgeable and highly experienced technicians retire, remote support is an excellent way of consolidating much of that knowledge and experience and making it available in today’s work environment,” says Joseph A. Haduch, MBA, MS. 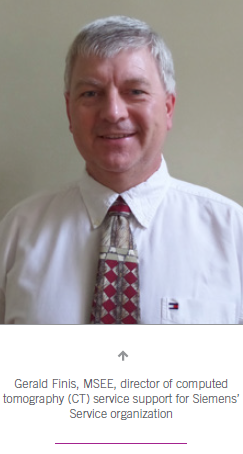 He is the Director of Imaging Services for University of Pittsburgh Medical Center PMC and BioTronics. 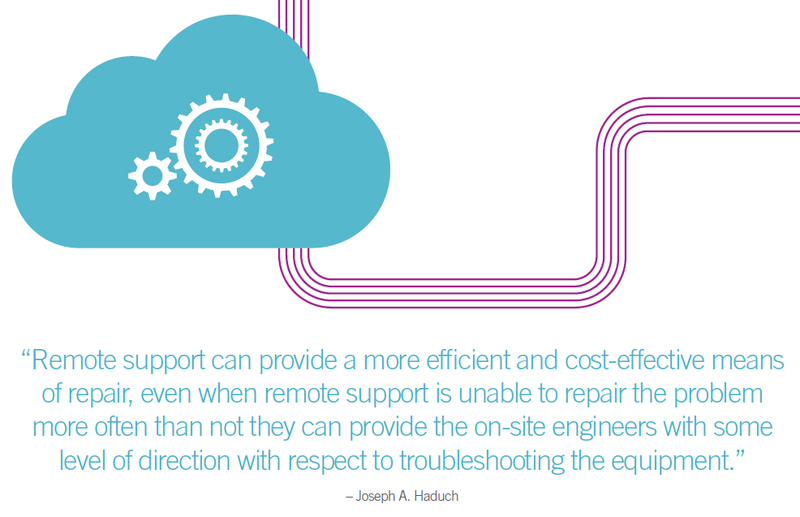 Haduch’s facility uses the remote support offering from GE Healthcare. “I believe remote support for equipment is the new platform for many of the manufacturers these days. In my experience, most of the IT-based medical equipment issues can have resolutions via remote service, in a quick and efficient manner,” says Shikari. “It allows manufacturers to quickly diagnose errors and issues by viewing the logs and providing remedies for resolutions. Remote service is quickly becoming the new standard for the industry and will enhance the ability for the in-house BMETs to support the medical equipment,” he says. Shikari says that remote service, for both software and hardware issues, should be based on a dual support solution. “Dual support, so that depending on the type of error, the remedy might involve physical intervention and the in-house BMET can support those situations. These days, many — if not most — manufacturers provide remote service as a base package within their support service contracts (SSC),” Shikari says. “In dual support situations, the SSC is quite a bit cheaper if a remote service is provided, because it saves the company money to send a field service engineer (FSE) out to the site, which adds travel and sometimes lodging costs,” he adds. Several OEMs provide real-time remote monitoring programs to handle preventive service in addition to offering predictive features to stave off potential future problems. Larson points out that the alerts that result from remote monitoring can notify remote engineers and field engineers when a remote check or field visit might be warranted without interrupting customer use. 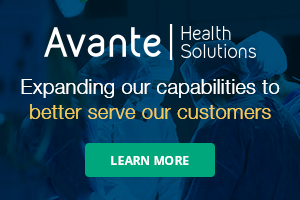 GE Healthcare’s InSite service allows the company to proactively monitor its diagnostic imaging equipment, and frequently, resolve issues on the spot. When an onsite repair is required, this technology can provide the service engineer with detailed knowledge of both the equipment performance and potential problem, often cutting down on the service activity. With a digital broadband connection, GE can provide faster response and shortened repair time, minimizing the overall unplanned downtime for the customer. By using a virtual private network and encryption technology, the proprietary broadband connection also provides safety and security of the data transfer. “GE’s ability to provide productivity and effectiveness in covering an expanded install base, which is growing more complex with both product introductions and acquisitions,” are some of the reasons Larson gives as benefits to the biomed department. “Biomed departments are challenged to maximize their in-house resources,” he says. In addition to these benefits, he points to “quick access to expert support as incentives for our in-house customers to drive productivity and uptime, building customer satisfaction” as incentives. 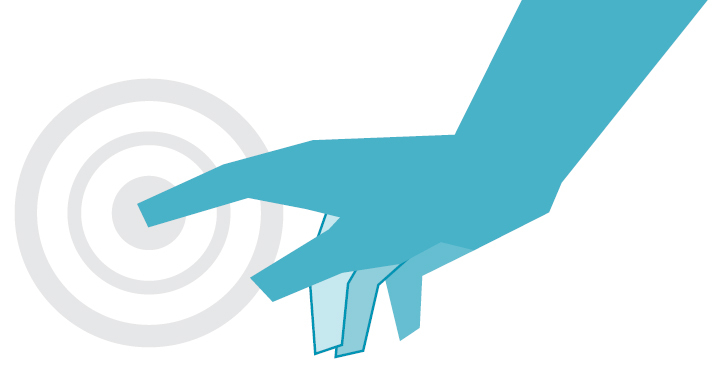 “A growing number like the idea of being connected, as it instills confidence with end users. GE is here with you, even when you don’t see them,” Larson says. The leaps and bounds in technology in recent years have made remote support a practical tool, according to Gerald Finis, MSEE, director of computed tomography (CT) service support for Siemens’ Service organization. Siemens Guardian Program uses remote monitoring to help predict and prevent service issues in real time. The program helps to improve workflows and increases patient safety by helping to avoid downtime during invasive procedures, according to the company. Guardian is used for several imaging modalities such as molecular imaging, ultrasound, MR, CT, angiography, X-ray and women’s health. The program started with angiography and migrated to CT. The logic built into the machine can tell if the hard drive is producing errors and can send a message to the monitor that the machine has hard drive errors. With this information, Finis says there are determinations that have to be made; which hard drive is it, how severe is the issue and what can be done about it. Finis says that the facility can then be notified that something is wrong with the water supply. Even if those in proximity to the equipment monitored don’t notice anything right away, the remote engineer can ask if they noticed the temperature or humidity creeping up. He says that the CT or the angio or MR picks these things up. “It’s easier to go in between patients and check for a filter or have engineering checking if the chilled supply is switching to another cooling solution and in an hour, it’s OK,” he says. Finis says that the other improvement is in technology itself. He points out that about every 18 months new computer technology, including faster processors, becomes available. Finis says that the nuclear power industry has used the technology for several decades. Finis says that not everything can be predicted, but many preventative events can be caught. He talks about the tubes in CTs as an example. Tubes are prone to vacuum leaks or filaments that burn out. Having one go out can interrupt clinical workflows and often require repair people to be working when it is inconvenient with patient loads. With his company’s remote service, they can predict when a tube will fail based on “novel operating parameters.” A tube can then be replaced at a more convenient time for the facility. The days of a phantom invader taking over a computer have been replaced with a more seamless monitoring capability. The unseen engineers will become a more common addition to healthcare facilities.